This is the setting that inspired the great Jack Nicklaus to create a golf course as unique as himself. This par 71, 18-hole course winds along a gentle valley floor offering you a spectacular setting as your golfing skills are tested to the fullest. Designed with an awareness and sensitivity towards the area’s natural habitat and nestled between Green Lake and the River of Golden Dreams, Nicklaus North features impressive glacial mountain views. Nicklaus North offers five sets of tees to give every level of golfer an ideal sense of challenge and enjoyment. The full-length driving range features grass tees and six target greens, perfect for improving shots of any length. A full-size chipping and putting green as well as a practice bunker to cover every aspect of the short game are also available. Hosted Mr. Nicklaus and a number of other professionals for the TELUS Skins Game in both 1997 & 2005 - the first repeat for any course in the history of the event. All clubhouse amenities are open daily during golf season, from dawn to dusk. Reservations are highly recommended. Get outfitted with all you need for a day on the course at the Nicklaus North Golf Shop, which is fully stocked with brand name lines of men's and women's golf, leisure and sportswear, accessories, equipment and more. Our Golf Shop staff will be pleased to assist with your shopping, or provide information about lessons with CPGA instructors. Table Nineteen offers outstanding food, unparalleled views, great value and exceptional service. Table Nineteen is authentically Whistler — open, fun, creative — casually elegant and welcoming to everyone. 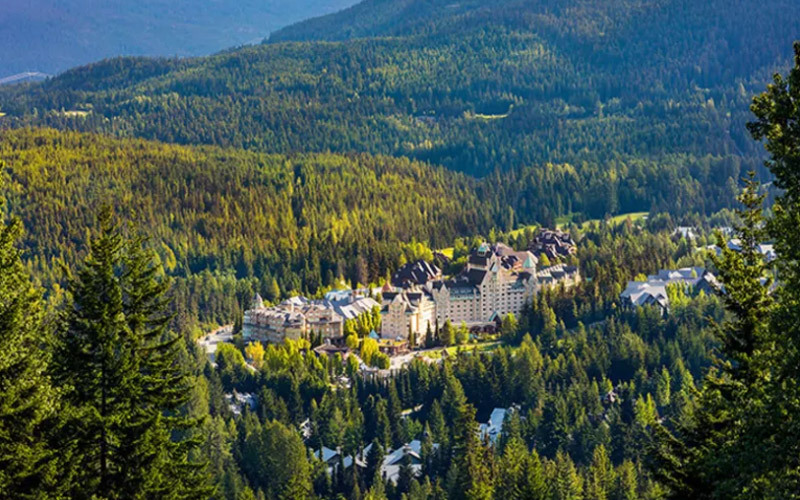 Located alongside glacier fed Green Lake and set against the Coast Mountain range, our location showcases Whistler’s spectacular natural environment. It is the Whistler we all love. 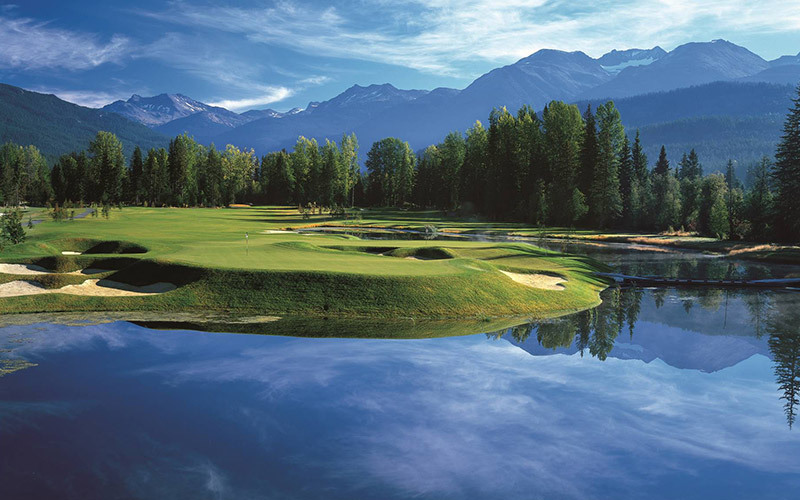 During the golf season, May through early October, Table Nineteen provides one of the most idyllic spots in all of Whistler to grab a bite and enjoy a beverage. Our 4000 sq. ft. patio is one of the most stunning in all of Whistler. Relax and enjoy the lakeside views, aquatic life, the odd roaming bear, golfers teeing off on the 16th hole and the Harbour Air seaplanes taking off and landing from Whistler’s only "airport". Complimentary with round of golf; please call the Golf Shop for other rates. Tailored pants or shorts and collared shirt required. No jeans or cut-offs allowed. Nicklaus North is a non-metal spike facility.